Coffee and music is a great combination, and indeed some of the early record shops were extensions of coffee bars. So how about black coffee, stereo coffee, or Java with your music? 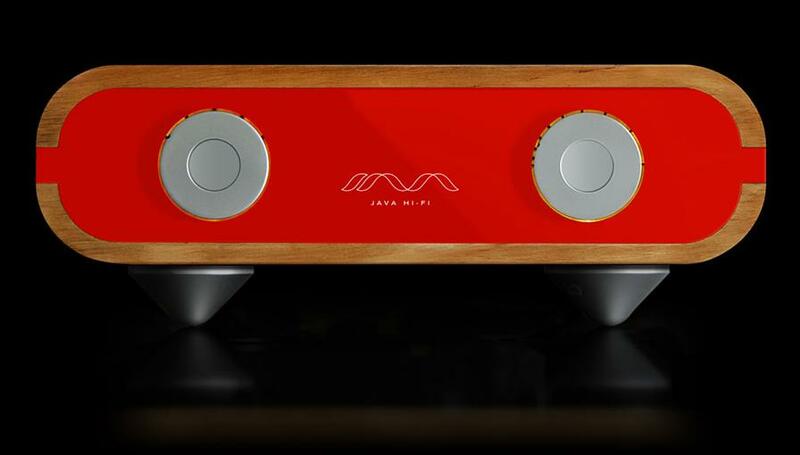 That is about to become a reality through a Kickstarter campaign to launch the JAVA passive preamp from Java HiFi. I first heard of and then about the JAVA whilst researching my recent survey of hifi makers in New Zealand. As I write this, the JAVA passive linestage preamplifier from Auckland-based Java HiFi is in pre-production and will be available from mid May. It seemed like coffee time to me, and time to hear my music with the JAVA. The JAVA is a full-function passive preamp using light-dependent resistor (LDR) technology in a unique circuit design. The JAVA uses an LDR-based circuit designed by Chris Daly, creator of the Stereo Coffee LDR control board (hence “Java”), known to many DIYers. Chris has built on his already excellent design to create an enhanced LDR control board and circuit exclusively for the JAVA that incorporates a number of important new operational features and further improved sound quality. The design of the casework is a collaboration between Martin Bell and Shane Inder, Head of Industrial Design at AUT University, Auckland, New Zealand. The overall aesthetic harks back to hifi's golden age in the 1950s and 1960s, and uses a mix of premium materials. First I wanted to know why a custom-made passive preamp might be added to an audio system? All audio amplifiers must have some way to adjust the sound level volume and for convenience to switch input selection. Whilst many digital source components offer digital volume control for level adjustment, typical implementation results in a significant compromise to sound quality. Effectively "bits" and resolution get thrown away to reduce the volume level, and this is clearly audible at lower volume levels. Additionally, the majority of audiophile systems typically have three to five source components, including specialised standalone phono stages and DACs. So functionality that allows for source selection and volume adjustment is not only desirable, but necessary. The question is how best to achieve this functionality in a way that causes as little impact as possible on sound quality, given the premise that “less is more” and that every component in the chain will add something of its own flavour to the final sound quality and character. In the past, the low output voltages of source components meant that an active preamp design was essential in order to boost the gain from the source component before handing the signal over to the power amplifier. The higher output voltages of modern digital source components and standalone phono stages have changed this problem. The output level from these is so high that attenuation must be used. In the majority of modern systems, you do not need an active preamp to boost the gain from the source component rather you need a device that can attenuate the signal into a useful range for domestic listening. A simple passive device offers an extremely minimal signal path to switch inputs and attenuate the volume between source and power amp. However, traditional passive designs introduce technical compromises of their own, often resulting in a flat uninvolving sound, lacking in dynamics. Transformer volume control (TVC) preamps solve some of those problems (and can also provide small gain), but they introduce another set of technical issues. Of course, there are also technical issues with using LDRs in a passive attenuator there is no perfectly simple passive solution! But the unique implementation of LDR technology in the JAVA overcomes these technical issues in a way that passes the delicate audio signal through with as little editorialising as possible, and with dynamics, tonal accuracy, a full frequency range, and soundstaging cues intact. Why are LDRs better for audio than conventional preamp components? A conventional preamplifier will use either semiconductor devices (transistors or integrated circuits), or valves and transformers, to couple audio sources to your power amplifier. Whilst there are many excellent solid state and valve preamps on the market, their complex signal paths impart their own sonic signature on sound quality. Capacitors - even highgrade audiophile types - further compromise sonic performance due to the time that it takes for a capacitor to charge and discharge. The best circuit is one without any of these problems. Passive preamplifiers using attenuating potentiometers attempt to fix these issues, but introduce problems of their own, namely distortion from one contact wiping on another. Other passive designs such as Transformer Volume Control (TVC) attenuators use transformers to couple audio. Whilst there are some excellent TVC designs on the market, ultimately inductance and its properties negatively influence audio quality and impart a certain sonic signature of their own. Digital preamplifiers, meanwhile, are free of mechanical contacts, but require stepped digital translation of the audio signal, reducing accuracy and ultimately sound quality. The internal LDR variable resistor solves all of these problems and - through its unique circuit design - the JAVA introduces no new problems of its own. Activated by light, the JAVA offers a signal path of the utmost simplicity and delivers simply exceptional audio quality. An LDR attenuator uses varying current to an internal LED that then uses more or less light intensity to vary resistance. This confers a significant advantage over conventional preamp designs due to the absence of mechanical contact switching. Instead, LDRs use optical transfer to couple the source component to the power amplifier. Listening to music you get to hear exactly what was recorded, with extraneous noise stripped away and music flowing naturally, exactly as it should. Put simply, the JAVA sounds more like music and less like hifi. The JAVA is suitable for use with all source components with low output impedance and an output of 500mv or more and is compatible with all power amplifiers. It is important to note that the JAVA may not perform optimally with source components that are specified with rated output below 500mv into loads of 3000 ohms or higher, although the vast majority of equipment today delivers rated output into 600 ohms or less. Modern DACs feature 70 ohm capability with over 1V output (most are 2V4V). You would have to search hard to find a source component that wasn't compatible with the JAVA! Nearly all power amplifiers will match well. The figure to note is the lower sensitivity vs the higher input resistance at power amp input. A figure of 1.5V sensitivity with 10k loading would be difficult (and an unlikely real world scenario). A figure of 500mV with 200k loading would be excellent. Likewise, a figure of 375mV with 30k loading would be excellent. Thus, all CD players will match well, as will tuners with outputs of 350mV or more, and phono stages with an output of 350mV or more. LDRs used for audio applications have to be able to go to low resistance, typically 40Ohms. There is to be no volume when the potentiometer is off, and most importantly the LDRs must be matched to give the same performance characteristics. Output impedance with LDRs is a statement of the relationship of shunt to series signal resistances in parallel. LDRs behave as a passive potentiometer, or voltage divider, not as an active device that has current and voltage derived from power supplies to provide stated outputs into low impedance loads. Output impedance is not meaningful with a passive circuit. But at full volume output impedance is slightly higher than 100 ohms. At other points it is as high as 20,000 ohms. Average S/N has been measured at 120 dB, demonstrating that LDRs excel in low noise and their ability to reject noise. What results is the full dynamic range of the source. The JAVA circuit is a significant development of the Stereo Coffee LDR control board, designed and built by Chris Daly, with some world-first innovations. For example, in dealing with the problem of channel matching, the usual approach is to painstakingly and time-consumingly select components that match within a close tolerance, and even that doesn't effectively deal with inevitable drift in component performance characteristics over time. The JAVA design approach is different and superior. The self-regulating circuit detects differences between and changes in electrical characteristics of the LDRs of each channel and corrects. This is a complex problem because the current resistance relationship is nonlinear, varies between devices, and variously drifts with ageing of the device. The Java HiFi approach to channel matching of LDRs is unique and differs to other LDR-based devices currently available. The JAVA circuit then uses current trimming to further balance each channel, resulting in outstanding channel matching between L/R channels (typically less than a 1% variation). This "current trimming" implementation is unique to the design of the JAVA, with the anode and cathode of the LED of the LDR employed in a closed high impedance circuit, separate from earth. In comparison, other LDR products have a resistor and capacitor in parallel to earth, resulting in those components always competing with each other. Another approach uses sampling to adjust L/R channel balance on the fly. It's a valid but quite complex approach by comparison the JAVA's all-analogue, closed-circuit approach is inherently simpler. Also unique to the JAVA concept is a high-degree of bespoke customisation available. Customers can choose from either a high gloss 6mm acrylic fascia in a range of colours including ink (black), dawn (red), blizzard (white) and mercury (silver), or a premium 4mm solid copper fascia. Likewise, the high quality birch ply casework can be supplied in several finishes, from a natural high gloss to a deep walnut matt wax. 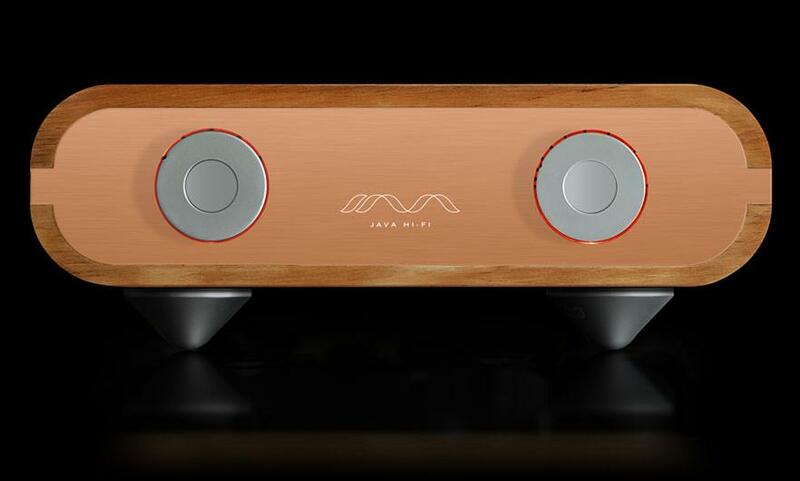 The Java team believe that with their combination of stunning casework and full preamp functionality, and based on extensive listening tests, it's not hyperbole to say that the JAVA will compete with preamps in the US$10,000+ category. 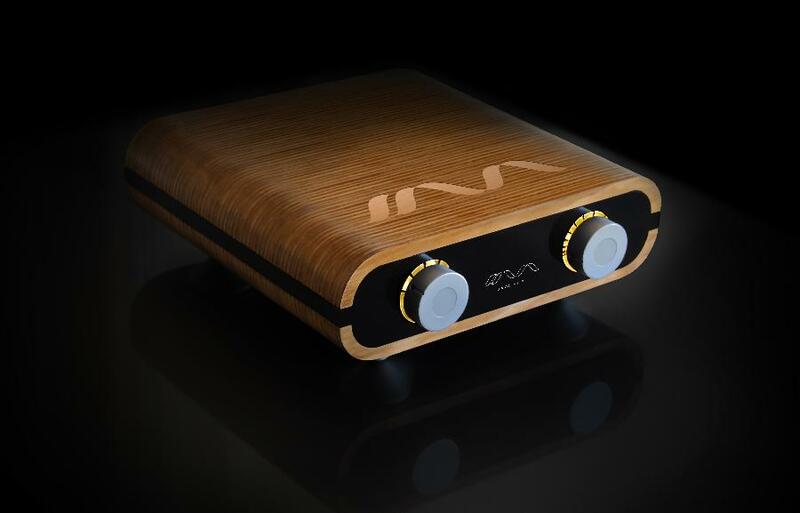 The JAVA is presented as a truly groundbreaking design that has the potential to redefine the price-performance equation in the preamp market. With such a claim, I had to hear it in my audio system for myself. What would it do for my music listening pleasure? Was music rendered differently with the JAVA connected? Did I prefer with or without JAVA? In extended listening, could I discern that the JAVA has added, removed, or otherwise modified the sound of my music in a likeable way, or otherwise? I was loaned the first prototype of the JAVA for a first look, then up stepped Paul Quilter of PQ Imports, my local friendly importer/distributor, with the loan of a Cambridge Audio Azur 851W Class XD power amplifier the current flagship model in the range. I connected the JAVA to the unbalanced input which require at least 1V rms of output from the preamp. I was also fortunate to be able to borrow a VTL ST85 valve power amplifier to try the JAVA with for further comparison. My conclusion is straightforward. The benefits of adding the JAVA as the frontend to a capable power amplifier were clearly audible and enhanced my listening pleasure markedly in clarity, detail, and dynamics. The sound listening experience was certainly more musical and enjoyable. I readily discerned the “solid state” sound signature of the Cambridge, and the rich tetrode timbre of the VTL. The JAVA makes a powerful statement with its physical presence, especially when the power amplifier is stashed out of sight. The feel of the controls is smooth and tactile. For me, the JAVA puts you in control in a way that seems much more than a mere volume control, and I was sad to see it go back to Java HiFi. The innovative implementation of LDRs in the JAVA passive circuit edges preamp design closer to the holy grail of a theoretical "straight wire with gain". Hence the Java Tagline "Less wire. More gain". Martin Bell tells me that the production version is even better. That I would like to see and hear!